The Schingoethe Center opened its doors for the first time in 1990. Herbert and Martha Schingoethe, both avid collectors and natives of Aurora, generously agreed to fund a museum on the Aurora University campus. 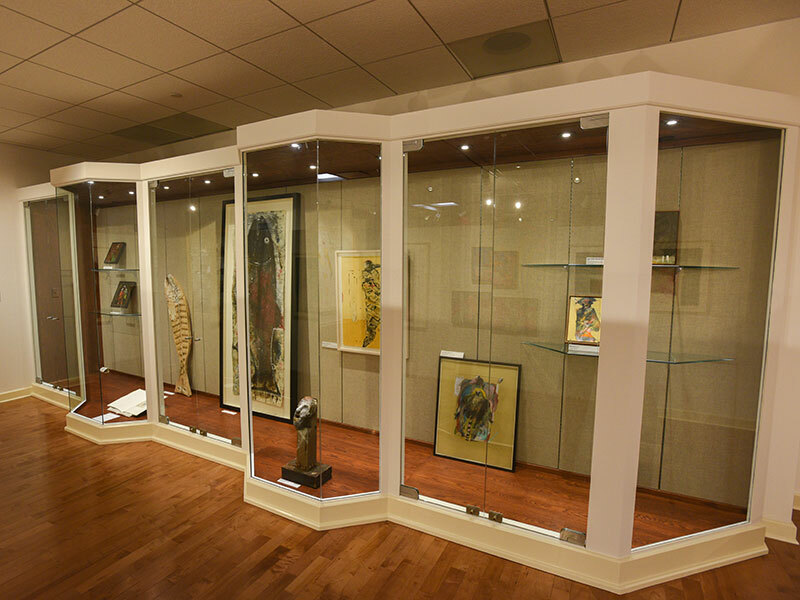 The museum, known for 23 years as the Schingoethe Center for Native American Cultures, was allotted space in the lower level of Dunham Hall. 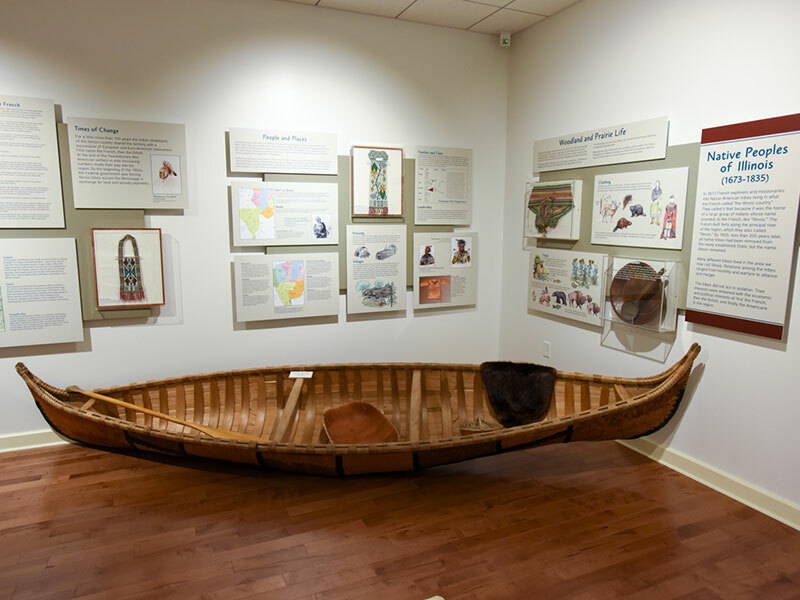 With the founding of the museum, the Schingoethes were overjoyed that they were able to share their love of Native American culture with those in the Aurora community. The couple later described the Center as "the best gift we could ask for," because they were able to see others enjoying their collection - and learning from it! 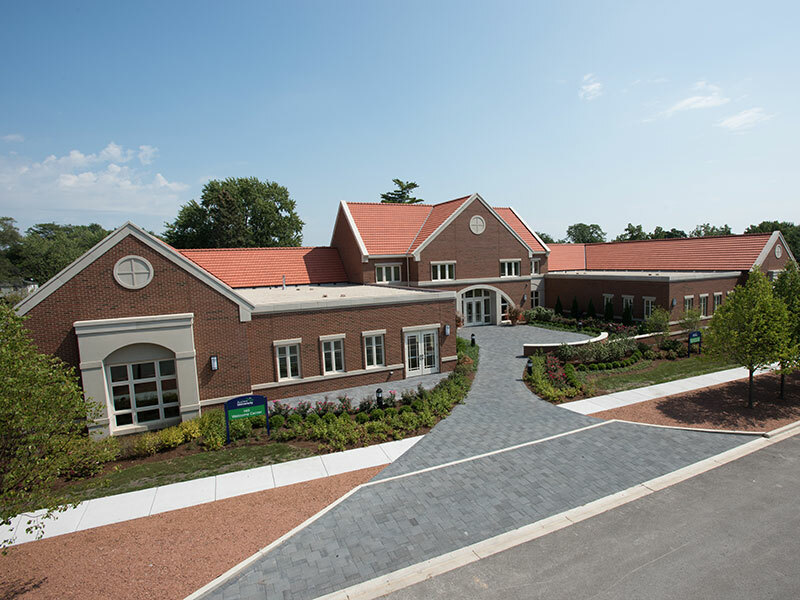 In 2013, the Center temporarily closed as a new state-of-the-art facility on the other side of campus was being constructed. 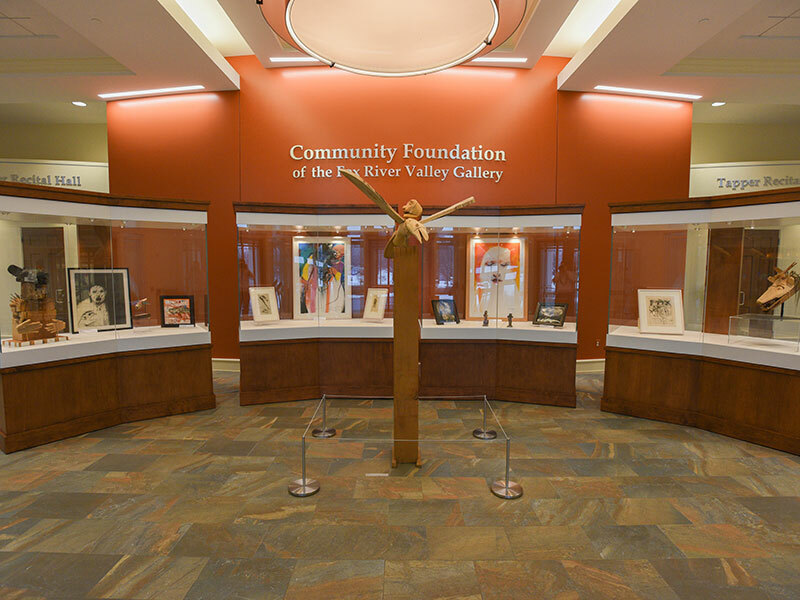 The museum, renamed the Schingoethe Center of Aurora University, now resides in the Welcome Center. It reopened to the public in October 2015. Now we celebrate this remarkable couple at the entrance to our campus. 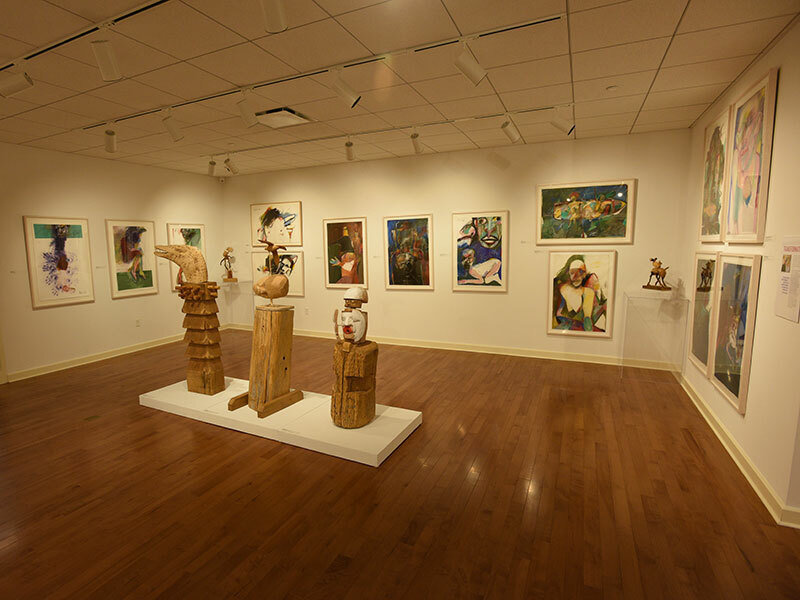 The Schingoethe Center of Aurora University combines the former Schingoethe Native American museum and Schingoethe Art Gallery. 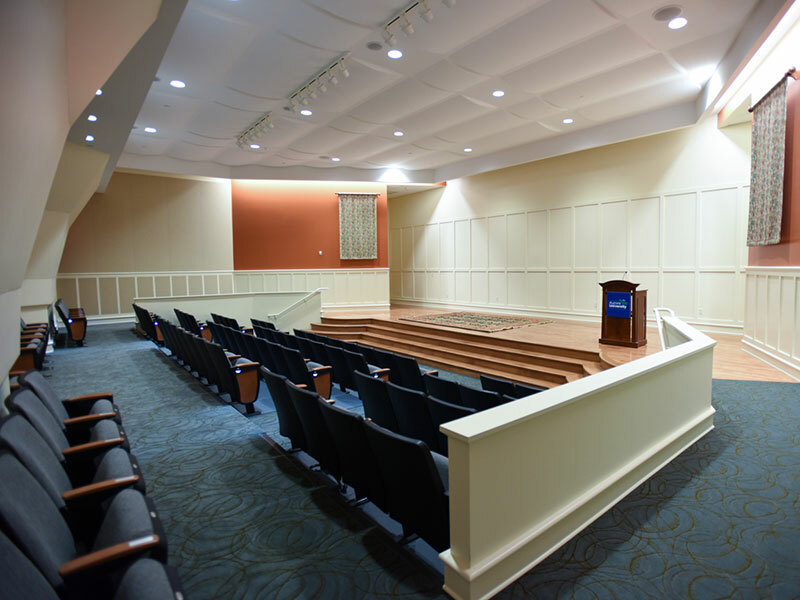 The new space includes state-of-the-art exhibition spaces, a lecture hall, classroom space, and a library and artifact viewing room, which houses the museum's rare book collection and provides researchers a convenient place to study. 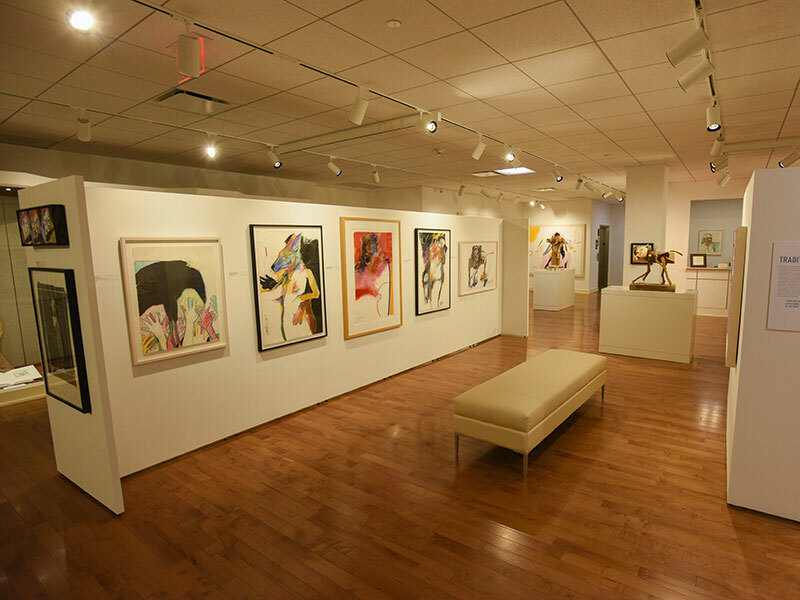 The main gallery features a variety of exhibitions by Native and non-Native artists alike. In addition to seeing objects from the Schingoethe collections, museum visitors can also expect to see solo and group shows, and from time to time, traveling exhibits from other museums all over the country. 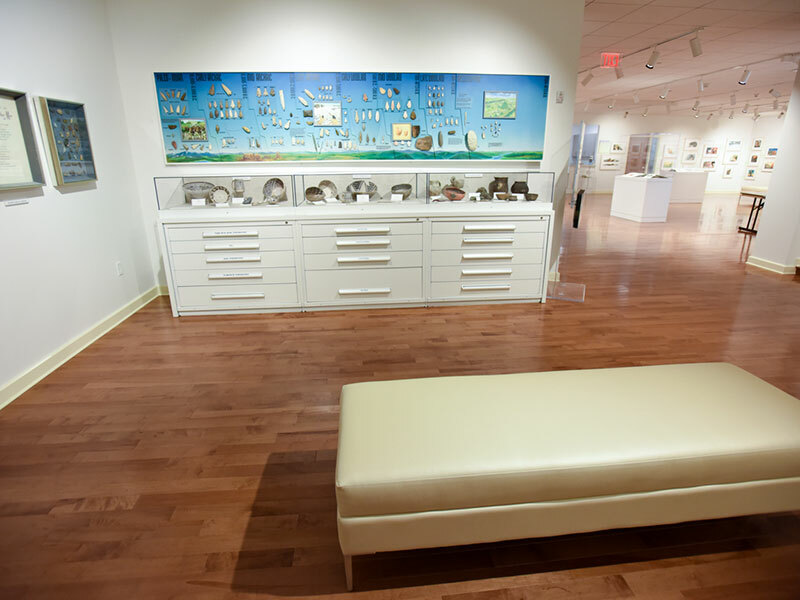 The adjacent Marlin Johnston Family Gallery, named for a former alum and donor of artifacts, features permanent exhibits of Native American art and artifacts.